If you truly think a Facebook page for your business is enough, why do you think successful companies even have websites anyway? It truly mystifies me when I hear business owner after business owner tell me they are just using Facebook as their only online presence. It’s either stubbornness or pure ignorance (perhaps both). Internet marketing is by far the best way to get your message out to a global audience instantly. Imagine trying to promote without it, you’d be crazy. Using Facebook is great, and it certainly has its place. I would most likely never tell someone to NOT have a page for their business. But Facebook isn’t your website, it’s a social media platform. If you don’t understand the difference you have completely missed the boat. I’m here to help you understand 13+ of the main reasons a serious business will never grow to their full potential using Facebook alone. 1. You don’t own Facebook, and you never will. Unless your name is Mark Zuckerberg you have zero control over how Facebook operates their platform. In fact, recent changes indicate that Facebook is planning on making it even harder for businesses to show up in their followers feeds. Why? Well, it’s a bit complicated, but with growing distrust among their users, Facebook is trying to get back into the business of connecting people with people. 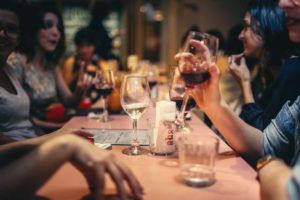 They want users to be happy and enjoy their experience online, and people don’t typically enjoy seeing businesses promote themselves. That’s just one example, but it illustrates the point that you have no control over how Facebook operates. What is available today might be gone tomorrow, and if all your eggs are in that basket what are you going to do? 2. Not everyone is on Facebook. Sure, there’s about 2 billion people on Facebook, and that’s a ton. But a recent study showed that around 68% of American’s use Facebook, and that number has stopped growing. Not only that, there are indicators that it will soon be in decline. Only about 41% of millennial’s use Facebook now, and their age group is starting to have serious buying power. Care to eliminate 59 out of 100 of them from becoming your customer? Try taking a look at your Facebook page while you’re logged out. Go ahead, I’ll wait. It’s almost impossible to get the information a potential customer might want unless they have an account. You might as well just make it company policy that you only do business with people who have Facebook accounts. Sounds ridiculous, right? But if you’re only using Facebook to promote your business that’s exactly what you are doing. 3. Everyone knows Facebook is free. While that might seem obvious, it sends a pretty important message to your potential customers… You’re cheap. Trust and credibility are important pillars of any companies culture, I’m sure you pride yourself on being a credible source within your industry, right? A custom website (of your own) instantly boosts credibility and trust with your prospect. They can instantly see that you are invested in your company. In the end, customers want to know they are going to be taken care of. Anything you can do to increase your credibility is an investment worthwhile. 4. Your Facebook page looks just like your competitors. Sure, you can upload your logo and cover image, but 90% of your Facebook page looks exactly like every other competitor. As the internet makes the world more connected, you aren’t just competing with people in your own town, you are on a global stage– even if you provide a local service. 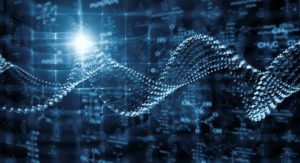 It’s nearly impossible to differentiate yourself from your competitors if you’re locked into a system that looks virtually the same as theirs. 5. You’re likely sending prospects to your competitors. Facebook is powered by it’s advertisers. That’s how they became a billion dollar company. Their algorithms are sophisticated too. Ever search for something online, then for the next few days see ads for those products everywhere you go? It’s like someone is watching you, monitoring your habits, and feeding you targeted information… because they are. So, if your Facebook fans “like” your page, that tells Facebook they’re interested in your industry. Any competitors running paid ads are going to target people with those interests. By inviting someone to like your page, you are also introducing them to your hungry competition. Better yet, your fans are seeing your competition ON your Facebook page. Go ahead and log back in and go to your business’ profile. Scroll down a tad and on the right hand side you’ll see a box that says “Related Pages”. Yep, there are your competitors, with links to like them right there on your own page. So kind of you to promote your competition like that. Would you ever consider putting their ad on your own website? Really? 6. Paid ads are great, but where are you going to send them? As mentioned earlier, the paid advertising within Facebook is extremely powerful. I’ve seen companies grow their business quite nicely with some well-targeted Facebook ads. But you have to have somewhere to send the traffic. It’s very unlikely someone will buy from you directly from seeing an ad. Successful ads are essentially links that go to landing (or “squeeze”) pages on their (you guessed it) website. Landing pages are specifically designed to encourage users to take your bait and follow your call to action. If you’re going to run a successful ad campaign you need somewhere to send that traffic, and a Facebook page alone won’t cut it. 7. Not everyone is seeing your posts. Ever wonder how posts get into your feed? It’s a common misconception that it’s ALL of your friends and “liked” pages posts in chronological order, but that couldn’t be further from the truth. While only Facebook knows exactly what goes into their formula, we know for sure they are cherry-picking what you see. In fact, they admit to that. Your business’ self-promotion posts are unlikely to make the cut. Some studies have found that less than half of your followers will see your business post in their feed. Don’t take my word for it, measure the number of “likes” you have vs. the number of views your post gets. I’ve done this experiment myself, and my business page runs at about 40% views vs followers. 8. Facebook is a terrible search engine. And I don’t think they will mind that criticism, because even though there is a search bar, Facebook is not a search engine. People looking for products or services online turn to Google. When was the last time you heard some say “Facebook it”? 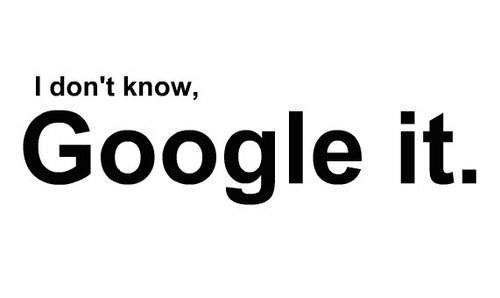 Nope, we call that Googling things. 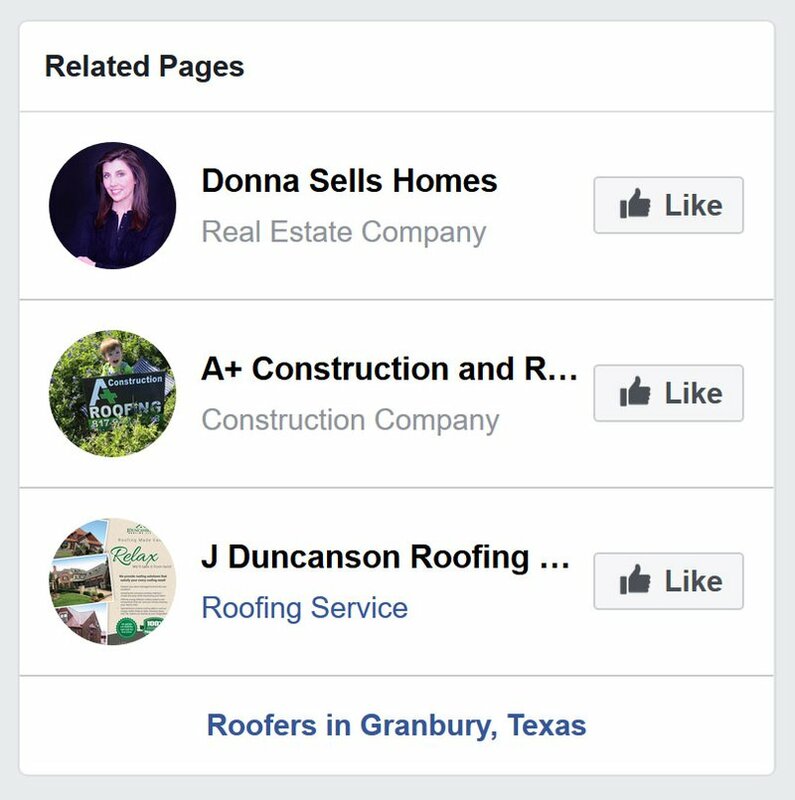 If you search for “roofer in Granbury, Texas” (or whatever your service and town is) it’s highly unlikely you will see a Facebook page in the first few pages. Why? Because that’s not what Facebook is for. It’s not built for SEO (Search Engine Optimization). The only way people are going to find your Facebook page through search is to search for your exact company name (not your industry). How likely is it you’ll get new business that way? 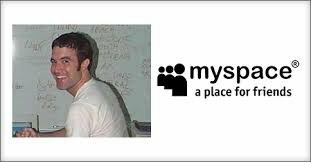 Before Facebook was the biggest social media platform there was MySpace. Everyone had a MySpace. There are plenty of social media platforms that rose and fell over time, and Facebook is not immune. I mentioned earlier that millennial’s are leaving (or perhaps never adoped) Facebook, and as that generation gets more buying power you will need them to have access to your company’s information. If Facebook eventually dies off (or has a big decrease in users) what is that going to do for your “online marketing”? It is, without question, a big risk to your business to rely on a 3rd party’s platform to run your entire marketing operation. 10. Your company doesn’t fit into a “box”. In order for Facebook to have such a large user base, they have to pair information down quite a bit, giving you just a few places to put in basic information about your company. One call to action button, a short “about us” paragraph, business hours, and phone number is about all you really get. But that doesn’t tell your brand’s entire story. Going back to differentiating yourself from the competition, that’s really hard to do when you have to work in a rigid Eco-system like Facebook. A custom website lets you control the message from top to bottom. It allows visitors to easily see what sets you apart, why they should choose you and what actions to take next. While some of these things are possible with Facebook, you are severely limiting yourself. 11. You’re missing out on a ton of really good leads. I have a Facebook page. I have a website. I also mange and monitor incoming leads on many of my clients websites and Facebook accounts. Not only do websites get more leads and Facebook accounts, the quality of the leads is considerably better. 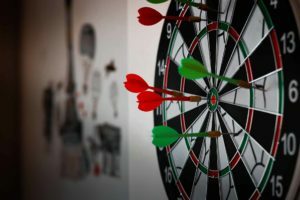 When customers make an inquiry through your website (assuming your website does a good job of educating them) they have already bought in to your company on some level. Something on your website has spoke to them and made them decide that you might be the right fit for their needs. If you’re already getting leads from your Facebook that’s great, but I promise you, you are missing on more than you are getting. 12. You’re missing out on sooooo much data. Marketing efforts need to be measured, tweaked, adjusted and monitored. There is always room for improvement. A website can help you do that. Why is this important? Because the more information and data you have on your customers the more effective you can be at building a successful marketing campaign. When you combine all this data and build a complete customer avatar you can begin to understand who exactly you need to be targeting. While Facebook does have all this data, what it shares with you is limited, and only appears when you are doing paid advertisements. Google Analytics and Search Console are completely free tools your website can have access to and they will allow you to make smarter decisions when making marketing campaigns. 13. You’re audience is completely distracted. When a Facebook user is browsing through their feed they most likely aren’t looking for you. So even if they do see your post their intent to do business with you is very low. This means all those likes and followers mean very little to your bottom line. If someone is on your website their intent to do business with you is much greater. Would you rather shout to a crowd of 2 billion+ people, 99.999% of which have no interest in you? Or speak to a handful of people who you have already captivated their attention? Facebook is full of distractions. Notifications, friend requests, competitor’s ads, games, you name it, Facebook’s got it. Imagine if Facebook was a physical place full of all of those people and distractions. Billions of people doing millions of different things with constant alerts trying to beg for their attention… and here you are adding to the noise. It’s unlikely you would gain any attention in such a crowded space. Your website is a much quieter place, like walking into your own brick-and-mortar location. You would never introduce all those distractions to your own location, would you? While technically, you own the content you publish on Facebook, you don’t get to control it entirely. The social network kings completely control the publishing of your content and how it is disseminated. You are free to pack up and leave any time, and no one forces you to publish on their website, but you loose most of your control over that content once you hit the blue publish button. It’s only free because they are collecting a war chest full of information on you, your friends and your followers and then selling that info (kind of- they technically don’t sell your info (anymore) but they do sell ads using that information) to advertisers. Facebook isn’t all bad- you’re just not be using it right. I know I sound like a complete hater, right? But that couldn’t be further from the truth. Actually, I recently published an article about how successful this year has been for me using Facebook. I started off the same way you did; thinking I would make a bunch of sales and get a ton of inquires through my Facebook. But that never lead to success for me. When I truly started seeing a return on my time spent on Facebook and I completely stopped using it to sell my business and services. Instead, I focused on being present. Helping people through questions or difficulties they had on things I am knowledgeable about. I answered questions. Joined Facebook groups with peers and my target audience. I shared my knowledge, advice, time, & expertise to as many people as I possibly could. But I never tried selling to them. Why? Because I finally understood that being sold to is not why people are on Facebook. They are there to connect with people. Good news! You are, in fact, a person too! This means you have everything required to start making the most out of social networking. Be yourself, be kind, help people out and make connections with people. That will lead to sales. It doesn’t happen directly, but over time you begin to carve out a niche for yourself and people want to work with you. Not because you asked them to, but because you showed them your passion and knowledge and they were drawn to it. You only reap what you sow. If you’re serious about growing your business, you’re going to need a website. It may not be today and it may not be tomorrow, but eventually you will realize that your Facebook audience won’t continue to grow your company in a sustainable way. I am a big believer in taking baby steps. Rome wasn’t built in a day, and your website doesn’t have to be either. The most important thing is that you start. Over time you can improve your website and build it brick by brick on the foundation of data you are collecting from your visitors. This will make your website powerful and extremely valuable to all of your marketing efforts. It will give your company credibility that no social media profile can ever achieve.